Apparently the Golf GTI somehow became lacking when it comes to sports hot hatches, despite its serious power and sporty heritage. This must be so because Volkswagen decided to introduce the Golf 7 R, boasting AWD and 300 horsepower (221 kW) and 380 Nm (280 lb-ft) of torque – more than enough for a car of its type. 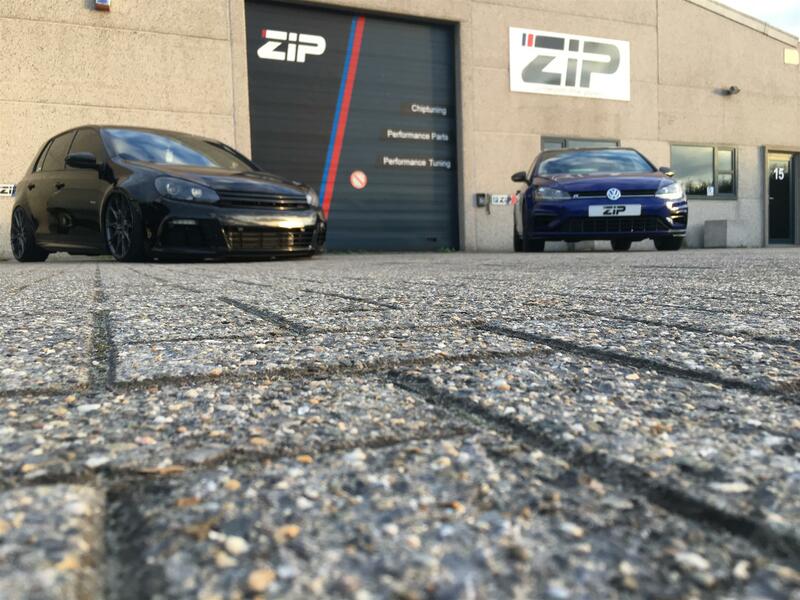 However, engineers from ZIP Tuning seem to think that you can’t have too much power, so they have developed three different Golf 7 R tuning stages resulting in noticeably more power compared to the stock car. The power ratings range from 362 hp (266 kW) and 483 Nm (327 lb-ft) of torque for the Stage 1, to 382 hp (281 kW) and 500 Nm (369 lb-ft) of torque for the Stage 2 all the way up to 443 hp (326 kW) and 553 Nm (408 lb-ft) of torque for the final upgrade stage. No car of its class can compete with the ZIP tuned Golf 7 R.
The Volkswagen Golf 7 R currently serves as the most powerful version of the model providing 300 horsepower (221 kW) and 380 Nm (280 lb-ft) of torque for a car whose first generation’s most powerful option was considered beastly with just 116 horsepower. OK, times have changed, so after about 40 years of production it’s normal to expect that the most powerful version of the current Golf easily surpasses any of its predecessors. The Volkswagen Golf 7 R, however, boasts some other novelties compared to the older models, such as all-wheel drive (called 4MOTION by VW) and a choice between two gearboxes – a technologically advanced DSG automatic and a pure driver’s old school joy of a manual. The top speed is limited to 250 km/h (155 mph) and acceleration to 100 km/h (62 mph) is rated at 4.9 seconds and 5.3 seconds for the automatic and the manual, respectively. Amazing numbers in any version, but there is more that can come from the Golf 7 R tuning. 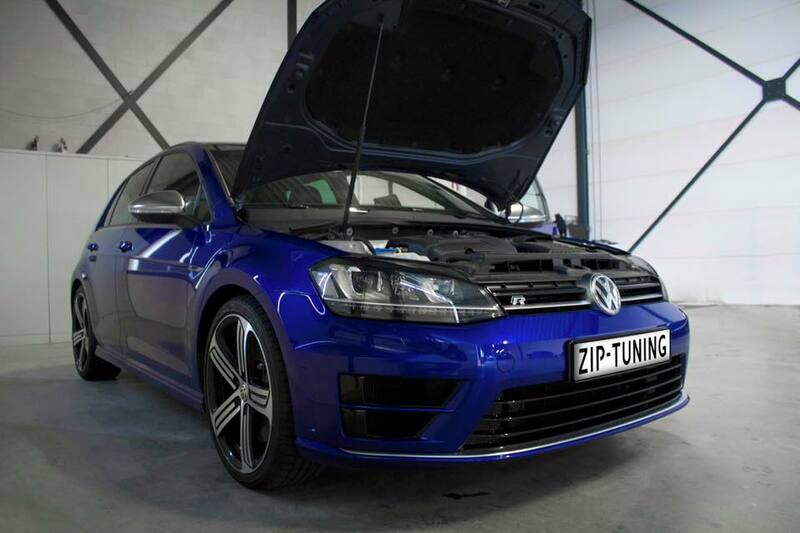 ZIP Tuning is just one of the tuners that provide performance upgrades for the Golf 7 R, but ZIP Tuning does differ from most others in the boost they give, surpassing even the famed brand tuners like ABT. There are three stages of ZIP tuning, each giving a bit more power and ending with the Stage 3 that provides 443 hp (326 kW) and 553 Nm (408 lb-ft) of sheer fun. Now, fun you can find in other hot hatches as well, but this kind of a push only with this one. The Stage 1 is a fairly simple upgrade consisting of an effective and completely safe chip tuning. The OEM ECU SIM18 is modified to provide more power, by increasing turbo pressure. Simply put, an increase in pressure sends more air to the combustion chambers, and this results in more power. However, more air means that the engine needs more fuel to burn. This is why injection software tweaks are necessary. Ignition is also moved earlier and this plays a big role in improving throttle response which, in turn, makes driving far more pleasurable. These changes are performed on the OEM ECU, so no new parts are installed. Furthermore, they are completely safe, since all of the tweaks carefully follow the mode of operation of the stock ECU. The result of all these tune-ups is immense. After the Stage 1, the Golf 7 R tuning provides 362 hp (266 kW) and 483 Nm (327 lb-ft) of torque. This has a great effect on the car’s performance, since it now sprints from 0-100 km/h (0-62 mph) in just 4.1 seconds, far faster than some proper sports cars. What can the Stage 2 bring? New parts. The Stage 2 introduces new engine breathing parts of higher performance and these include Milltek exhaust, Volkswagen Racing cold air intake and Wagner intercooler. After these have been installed, software needs to be adjusted further in order to comply with the new parts. 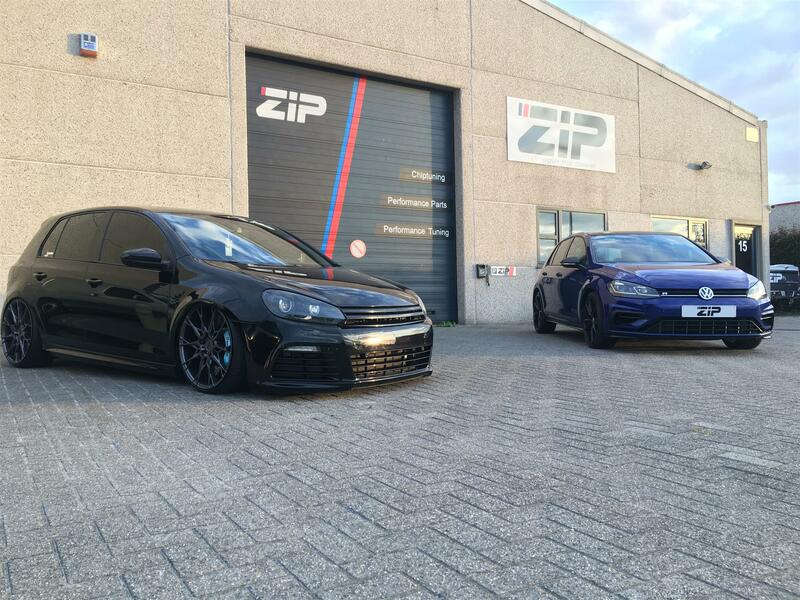 The result of the ZIP Tuning Stage 2 tuning for the Golf 7 R is 382 hp (281 kW) and 500 Nm (369 lb-ft) of torque. This pushes the already cool Stage 1 a notch further and leaves just one more thing to be done in the Stage 3. A new turbo. Adding a bigger turbo means that the engine gets even more air and the parts from the Stage 2 make sure it is cold enough. This, of course, calls for more software mods, resulting in 443 hp (326 kW) and 553 Nm (408 lb-ft) of torque. In terms of power, there is no system out there which provides more push for this car, with even the mighty brand tuners lacking to offer something to compete. ABT, for example, goes up to 400 hp (294 kW) in its most powerful offering, so ZIP Tuning Stage 3 makes the Golf 7 R the fastest one of its kind. The final stage’s power rating is close to being 50% higher compared to the stock car. This is a serious improvement and it means that your stock-looking Golf has more power than the Carrera S and that any other non-tuned Golf 7 R, or Audi S3 can only eat your dust. Audi S4 B8 Tuning – Faster than the RS4?